There is nothing like a walk through the woods. Birds chirp, the air feels cleaner, and the way that the sun filters through the trees and the leaves is simply divine. Forests have this sublime magical quality about them, and you can feel the magic within flowing out of the ground. That must be the reason that they are so relaxing to walk through! However, not all forests are created equally, with some garnering much more attention than others due to their unique flora and fauna. Here are five incredibly beautiful forests which will take your breath away. 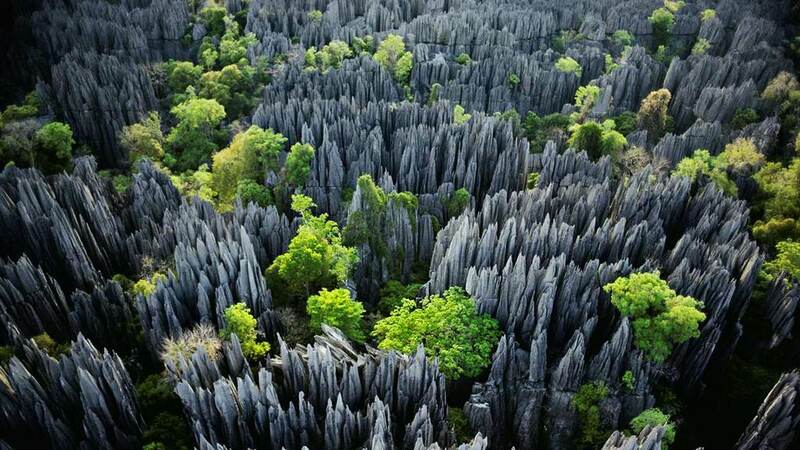 This forest, located on the Western side of the African island of Madagascar, not only has beautiful jungles replete with lemurs, lizards, and hawks, but also is home to a unique geological formation. Called “Tsingy” (meaning “the place where one can not walk barefoot” in the local Malagasy language), these are giant limestone hills which have been eroded by the wind and the rain so much that the hills are now razor sharp! Because of this, it is nearly impossible to walk there except with special equipment. However, because there are so few humans in the area, the park has seen an explosion in bird and lemur populations! This forest is one of the last remaining virgin rainforests in the world. First settled as recently as the 1970’s, the Costa Rican government knew that they had to preserve it for future generations, and to keep the 70,000 tourists who visit the forest every year happy. And happy they are. 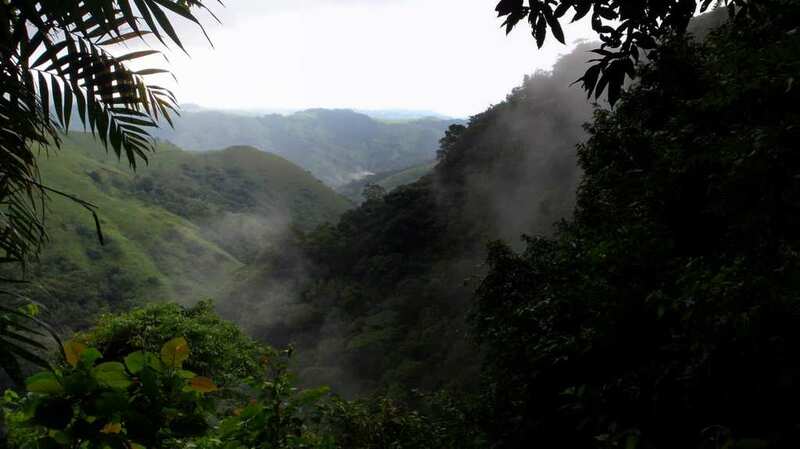 With over 500 animal species and 2,500 plant species, the Monteverde Cloud Forest Reserve is one of the most bio-diverse placed on the planet. This is helped by the fact that the reserve is actually a cloud forest, meaning that there is some level of cloud cover all day every day across the canopy. If you want to go see this forest, the best way to see it isn’t to hike through it, but to zip line over it! Designated a national forest back in 1935, this forest has seen 12,000 years of human habitation. The Hoosier National Forest is relatively unknown as it is located in the rolling hills of southern Indiana, but that just makes it all the more intimate. With a collection of hickory, oak, buckeye, and sycamore trees, as well as the fact that so few people go there, this quintessential American forest is one of the nicest and most preserved in the entire nation. Comprising over 260 miles of hiking paths, creeks, and streams, this immense park is not only easily accessible at any time, it is also completely free to enter. 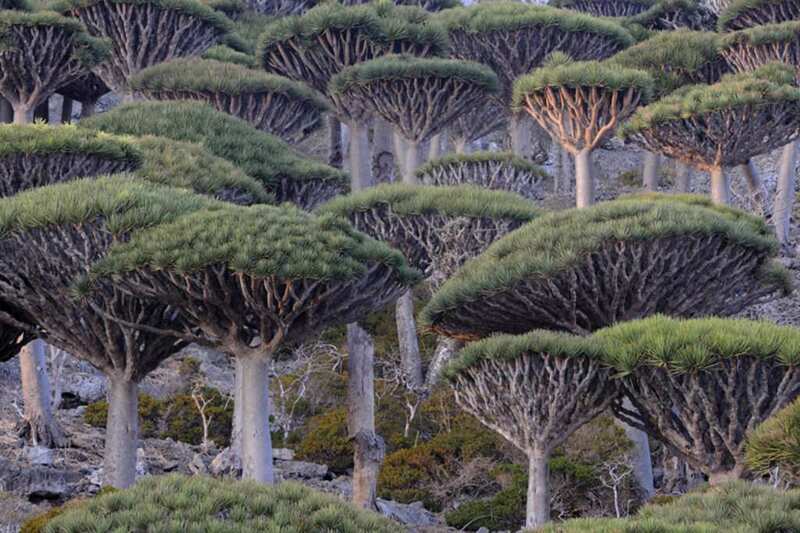 Located on the Yemeni island of Socotra, this forest, just like everything else on the island, looks like it came from outer space. The trees which make up this forest are called dragon’s blood trees due to the red sap which comes out of them when the bark is cut. Due to the fact that these trees are located on a desert island off the coast of the Arabian Peninsula, it’s really nice that these trees are able to provide so much shade. They have an almost umbrella like appearance, with a huge head of leaves at the top being supported by a strong system of branches at the bottom. 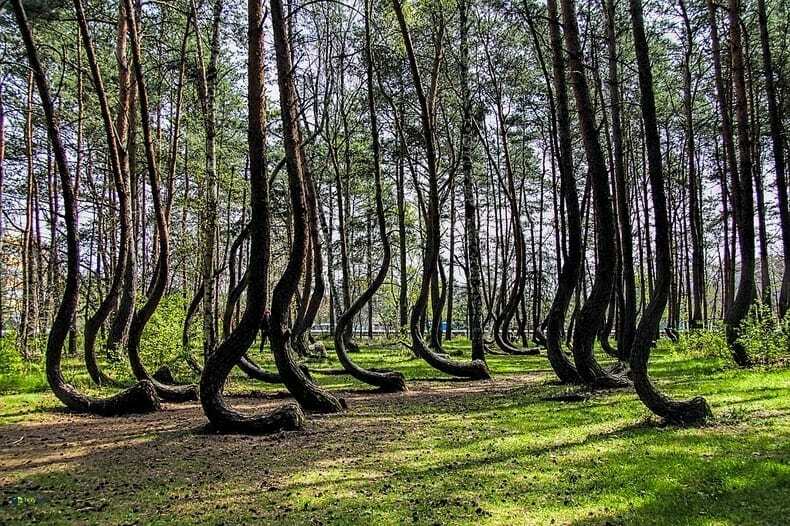 Located close to the German border on the Polish side lies the Crooked Forest. And the forest definitely deserves its name. Comprised of several acres, it is not this forest’s size which makes it so compelling. Instead, it is in fact the strange shape of the trees in the forest. Every single tree is crooked and bent near its base, and nobody’s quite sure how or why. But one thing is for certain – it was done by man. Some prevailing theories are the German tanks bent the saplings in World War Two, or that they were curved in order to be used for wood to build boats.